The final against East Kilbride will be on May 26, 2pm kick off, with the venue still to be confirmed, but before then all six clubs are in action as the league season draws to a close. First to hang up their boots will be Arniston Rangers who play their final game of the season away to Oakley United on Saturday. With promotion not possible, pride remains at stake as the Gorebridge outfit hope to finish with a flourish and avenge their 2-0 defeat to Oakley earlier in the season. Newtongrange Star, who were in action on Tuesday against Bo’ness United in the League Cup first round – with the winners facing Tranent – don’t play until next Tuesday in their penultimate game of the season against Hill of Beath. 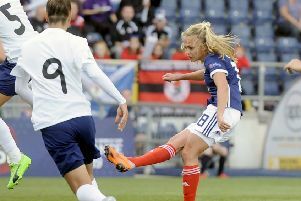 The Star have already guaranteed themselves a top-five finish and promotion from Conference A to the new East of Scotland League next season. Both sides have a victory apiece heading into that encounter. Conference B champions Bonnyrigg Rose faced Lothian Thistle Hutchison Vale in a league match last night (Wednesday) before entertaining Bo’ness United on Saturday. Their final league match of the season is against strugglers Eyemouth on April 20. Penicuik strengthened their hopes of qualifying for the Championship play-off with the 7-0 thrashing of Hawick Royal Albert, which moved them three points clear of second-placed Hill of Beath in Conference A. Cuikie were in action last night against Coldstream (Wednesday) before they travel down to basement boys Tweedmouth Rangers on Sunday, kick off 2.30pm. Their last game could be crucial at home to third-placed Musselburgh Athletic on April 20, kick off 2.30pm. 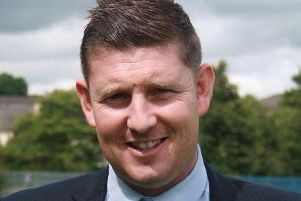 New Dalkeith Thistle boss Jock Landells started off with a defeat to visiting Penicuik last Friday in the League Cup first round. They won’t be in action this weekend but will be back in action against Crossgates on Saturday, April 20 and they still have an outside chance of promotion. Easthouses Lily returned to victory with a 2-1 win over Peebles Rovers and they will host Sauchie on Friday night in the second round of the King Cup, kick off 7.30pm. Lily have a final league game at home to Hill of Beath on April 20.